The Gomez family all got together Christmas morning at Mom and Pops in Santa Barbara. The tree was packed with presents! It was Ellie's first Christmas! We were so excited to watch the kids open gifts! 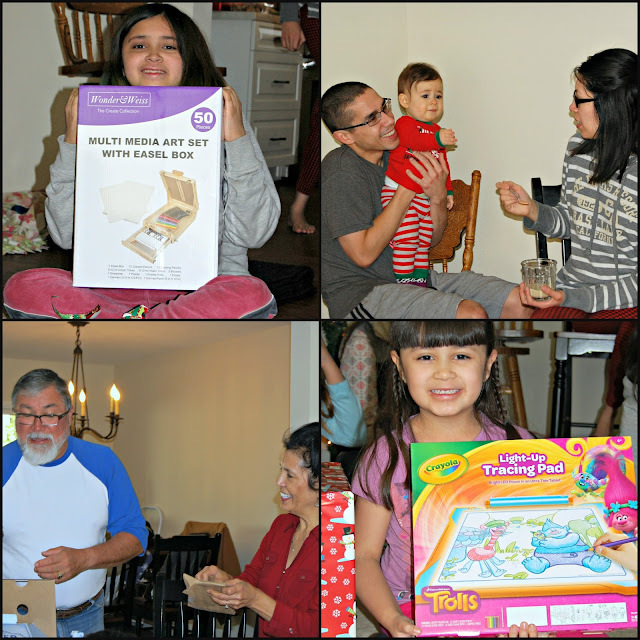 Phi and Lou each got art related gifts from Santa! Phi got an easel with storage and her favorite gift was the 24 set of Prismacolor markers from Nana and Tata! Louie got a very got a very cool light-up tracing pad and has already traced some really cool pictures! 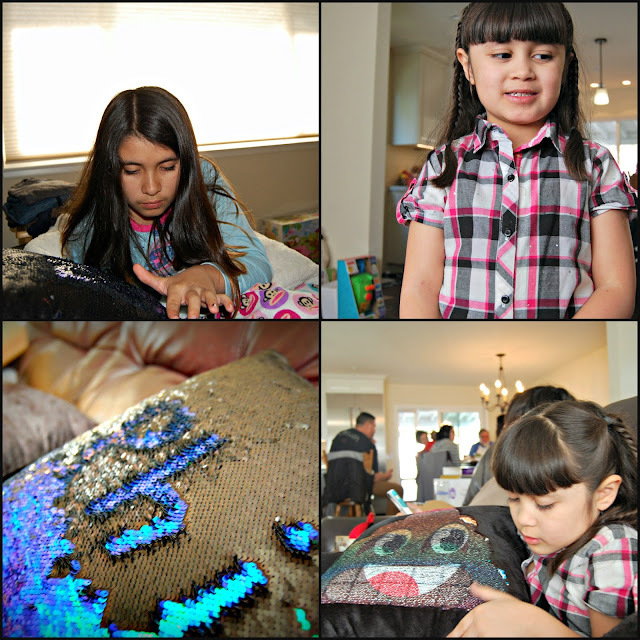 A great way for her to practice her drawing and gain some confidence. The CuCoGo's gave us all gift cards in the most fun way possible! She put all the cards along with candy and cash in a giant saran wrap ball. Then we played a dice game and we eventually got all the gift cards and treats out! It was so much fun! 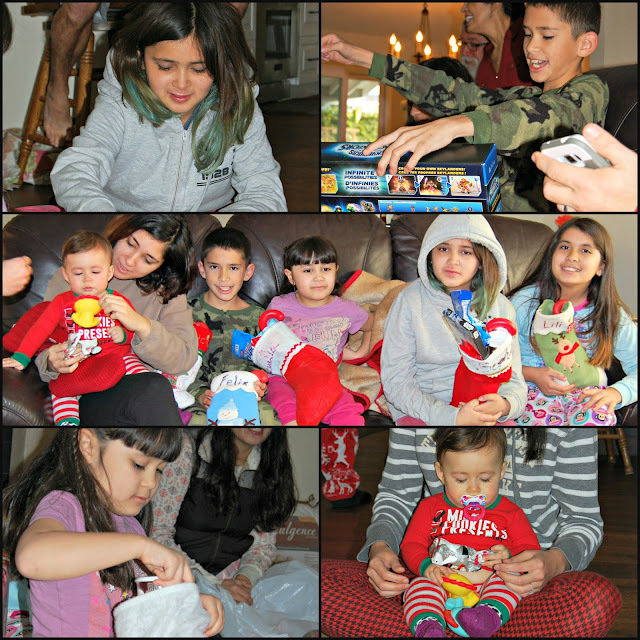 The rest of the morning was spent playing with gifts and eating a really great breakfast! 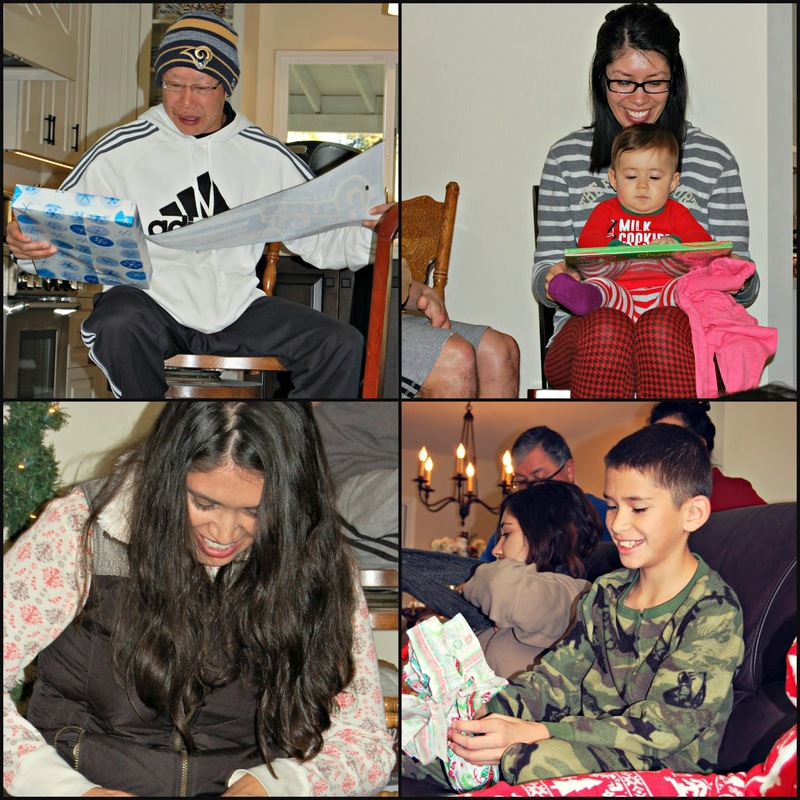 Christmas morning was so awesome, because all 15 family members were there. As usual our Christmas day is split between my family and Joey's family. 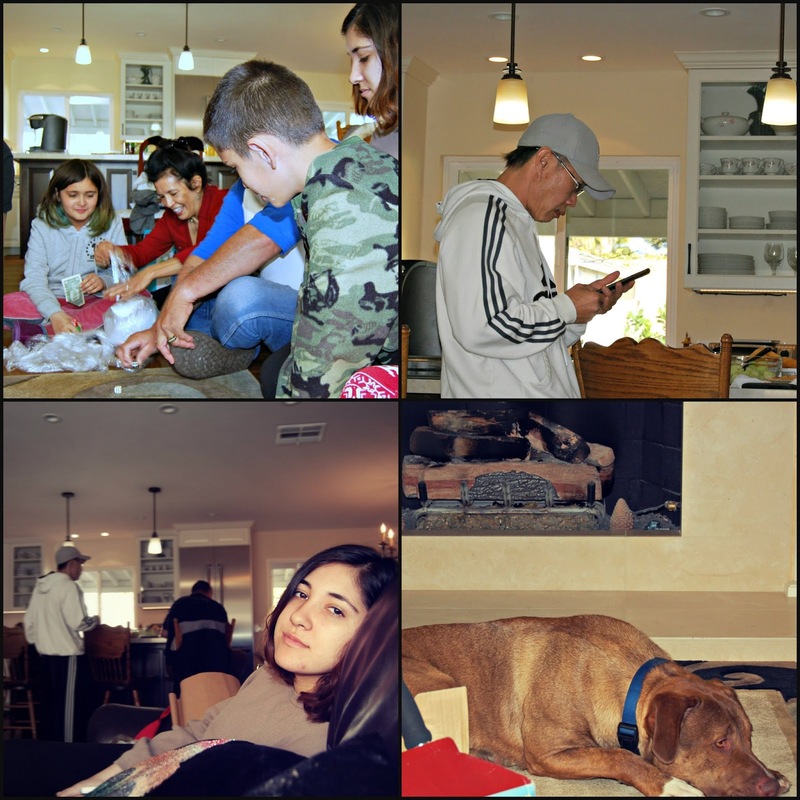 So we packed up the car and said our good-byes and headed to La Puente for one more Christmas celebration!